We work with small businesses that are looking to start-up, scale-up or turn around. We also offer financial advice and complete investment management for investors, domestic or foreign, who want to invest in the impact space. These investments intend to generate measurable social and environmental impact alongside a solid financial return. This is where our expertise lies, and our heart. We currently manage two Education Funds. Founded in 2013, CBA Capital is an Impact focused investment management firm. We focus on empowering young start-ups and work with them to make them sustainable. Apart from helping them scale-up, we ensure that they also make a positive impact on the society. Besides investing and monitoring the companies, we also strive to add value to the companies and work towards a timely and profitable exit. CBA works with companies that create shared values with its customers through development of new products/services but also creates value for other stakeholders like employees, suppliers and shareholders. 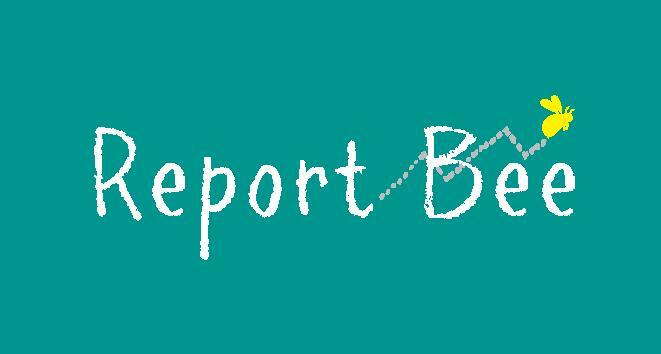 Founded in 2012, CBA Capital is an Impact focused venture capital fund based in Bangalore. We focus on empowering young start-ups and work with them to make them sustainable. Apart from helping them scale-up, we ensure that they also make a positive impact on the society. Besides investing and monitoring the companies, we also strive to provide constant value addition to the companies and work towards a timely and profitable exit. CBA focuses to invest in companies that not only seek to create shared values through development of new products/services but also positively impact the society with their operations. Our team will be glad to hear you or help you with any questions you may have. Just send us an email and we'll take it from there. 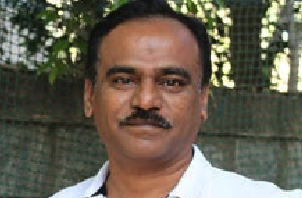 Amit is responsible for origination efforts at ECF. He was a founder Director at Kaizen – the first education focused investment manager in India. Amit has 15 years of experience in investment management starting with ICICI Bank. 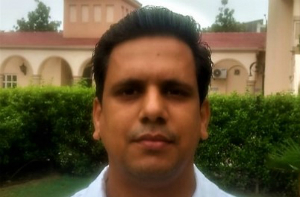 Amit is a qualified Chartered Accountant and holds an Executive MBA degree from NMIMS. Bhavesh brings 15 years of PQE with Private Equity funds as head of Funds and Finance. His areas of experience include fund management, deal execution, investor relations and financial management. 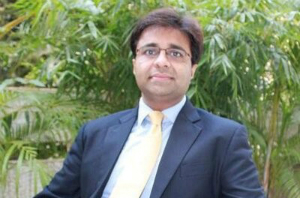 Prior to joining CBA, Bhavesh was Director at Lok Capital. Bhavesh is a Chartered Accountant and becoming a CFA. Geeta is the India CEO of Michael & Susan Dell Foundation. She manages the strategy and implementation of the foundation’s work in India in areas of Education and Family Economic Stability. In 2017, Business Today called Geeta one of India’s 30 Most Powerful Women in Impact. She is an alumni of the IIM (A) and Lady Shri Ram College (Delhi). Gopal is a serial entrepreneur, currently on his third venture. He has 25 years’ experience in operations and leadership positions in multinationals like GE and BP. Over the past 15 years he has set-up and run 4 enterprises. Currently managing a mid-budget hospitality company in an asset light model. He is an engineer/MBA from IIT/IIM. Praveen holds a Master’s Degree in Finance from Goa Institute of Management. Earlier, he has worked at Infosys and a start-up where he worked on software testing. At CBA he actively manages various portfolio companies. 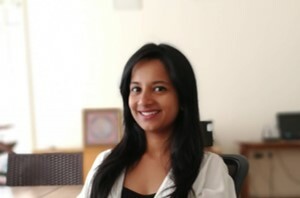 Ragini is the India CEO of Gray Matters Capital. She has more than 16 years experience in the broader impact space. Ragini is a board member of Indian School Finance Company and Address Health. Before GMC, Ragini has worked at DFID (UK), Dia Vikas, M-Cril and Care India. She is a graduate of IRMA is a qualified CIMA professional. Rimzhim Mathur is an Investment Analyst at CBA, managing investments in the Education and Skilling sector companies. She hails from Delhi and holds an Integrated Diploma in Management from Indian Institute of Management, Indore. She has a keen interest in music and dance and holds a diploma in Kathak and Tabla. Prasad founded Caspian Advisors (currently $150M AUM) in 2004. He has a demonstrated exit track record in the impact space in India. He serves on several ICom of impact funds around the World like Prospero Microfinance. 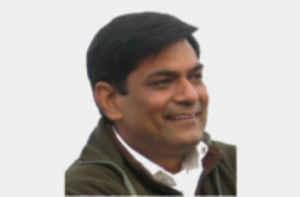 Earlier Prasad was CEO of Basix, aleading MFI in India. Prasad holds a M.S. in Management Studies from BITS, Pilani. Vishal is an advisor and investor in small businesses. He has more than 25 years of experience in financial services industry including impact investing and SME financing. He has experience in promoter management, business planning, financial planning and corporate governance. 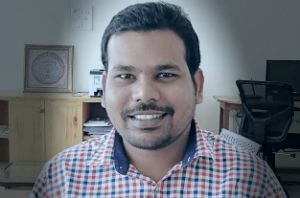 Debasish Mitter is the Country Director of Michael & Susan Dell Foundation in India, leading the foundation’s strategy and operations for education, employability skills, family economic stability, and health. Prior to joining the foundation, he spent 13 years with American Express in various leadership positions in their Delhi, Miami and New York offices. Debasish is a Chartered Accountant. Swaminathan S. Anklesaria Aiyar is a prominent journalist and columnist. 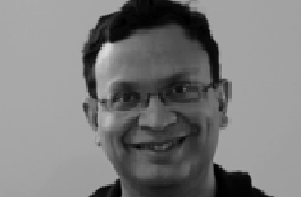 He is a consulting editor for the Economic Times and popular columnist of the Economic Times and The Times of India. He is also a Research Fellow at the Cato Institute, Washington DC. After graduating from St. Stephen’s College in Delhi he earned a Master’s Degree in Economics from Magdalen College in Oxford. Vandana Goyal is erstwhile CEO of The Akanksha Foundation, a non-profit organization with a mission to impact the lives of low-income children. Previously, Vandana spent four years with Citizen Schools, a Boston-based non-profit organization dedicated to changing the life trajectory of underprivileged urban children. Vandana is a graduate of Claremont McKenna College, with a degree in Economics. CBA has set up India Educational Investment Fund, IEIF, with US based Michael & Susan Dell Foundation as a limited partner. The target sector for this fund is early stage for-profit companies focused on solutions for urban low income families in the education and skills development space. Geeta Goel: Geeta Goel is responsible for the leading the global Mission Investing function for Michael & Susan Dell Foundation. Earlier she led the foundation’s Family Economic Stability initiatives. 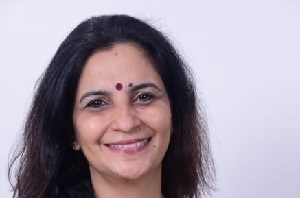 In the past she spent 12 years with the Corporate Finance Group of PwC in India, advising clients on JVs, M&As, business plans, and valuations. She is an alumni of the IIM (Ahmedabad) and Lady Shri Ram College (Delhi). Sanjay Mansabdar: Sanjay Mansabdar is a seasoned financial markets professional and entrepreneur, with over 20 years of experience managing many small and large businesses. Sanjay has run large sales and trading businesses for firms like JP Morgan and Bank of America. As an entrepreneur, Sanjay has focused on Education businesses where he has set up and run scalable online platforms for advanced education. S. Viswanatha Prasad has led Caspian Advisors, including setting up four impact funds with AUM of ~$140 mn and a demonstrated exit track record in the impact space in India. Besides advising us in CBA he also serves as a member of the Investment Committee of other funds including Prospero Microfinance. Prasad holds a M.S. in Management from BITS, Pilani, India. CBA has set up Education Catalyst Fund, ECF, with the target sector of early stage for-profit companies focused on solutions in education, skills and adjacent spaces like sports management companies, health services companies associated with schools, child nutrition companies, etc. 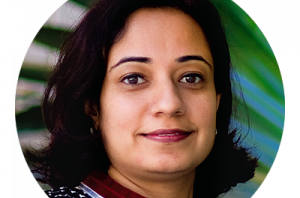 Ragini Chaudhary is a seasoned development sector professional with senior positions in DFID and other development firms like EDA Rural Systems and CARE India. She is currently the South Asia CEO of Gray Matters Capital and would be an observer on Investment Committee of ECF. Ragini holds a management degree from IRMA (Institute of Rural Management) and is a qualified Chartered Accountant. Gopalkrishna Kulkarni is a seasoned entrepreneur with successful exits in two companies and managing the latest venture for the past 8 years. Gopal is an alumni for IIM Bangalore and IIT Varanasi. 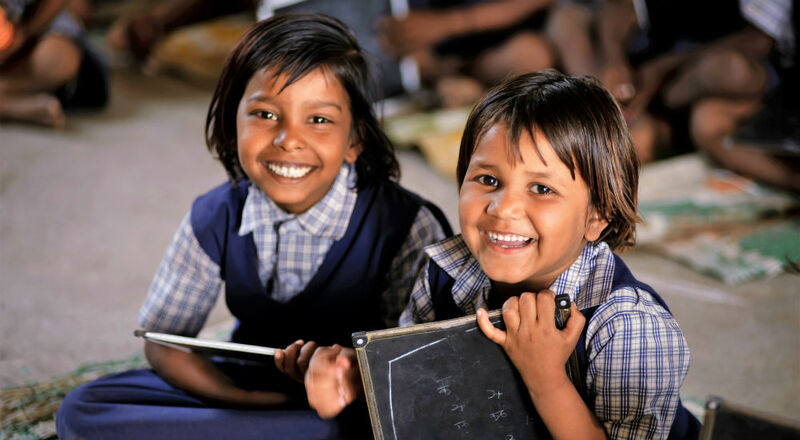 Education is one of the biggest areas of impact investments in India, and it is a growing market. The number of affordable private schools offering education to children from low income families is increasing rapidly. The impact on society through education solutions is felt after a generation because of new capabilities, perspectives, exposures to the students touched by the investee solutions now. Sport is regarded as one of the largest industries worldwide in terms of generating employment and revenue. Sports Education is important for the holistic development of an individual. Many professional sports management companies are coming up in India to boost this sector. Health is still a neglected sector in the development process in India. Child health is equally important as child education. This is a growing area of impact investment and many organisations are developing products focused to improve the health infrastructure, skills development and quality of care. © 2018, CBA Capital. All Rights Reserved.